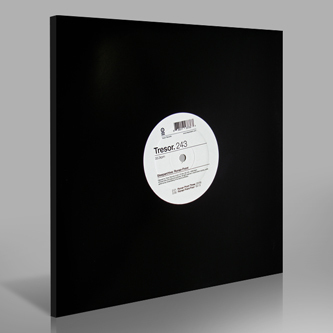 After a considerable hiatus Sleeparchive re-emerges on Tresor armed with his latest findings. As robust as ever, these four tracks are perhaps more defined now by a sense of snakey swing and lashings of excoriating white noise. 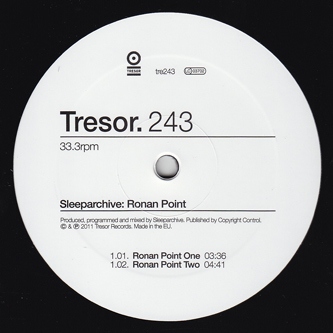 'Ronan Point 1' heaves with a dry, retching bass undulation under prickly hi-hats and encroaching noise gale; 'Ronan Point 2' is raw, pummeling and rankled; the highlight 'Ronan Point 3' strongly reminds of Mills' recent SITS tracks had they been finished in a German laboratory; 'Ronan Point 4' is uncompromisingly overdriven 808 pounding. Cold as f*ck.